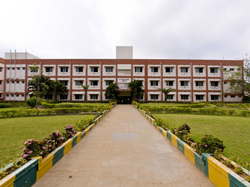 RMK Engineering College was setup in 1995 with the objective to provide education and foster research in several departments of engineering and science. This institute was established in the state of Tamil Nadu sprawling over 60 acres of vast area providing pollution free environment to students. This institute is been offering practical-oriented education to students in order to inculcate real experiences to students. University of University level entrance exam. B.E. / B.Tech with minimum 50% marks. M.Sc. with 55% marks or CGPA of 5.5 in relevant streams. M.Sc./ MCA/ MA/ MS in Science & humanities/ Journalism/ English etc. Application from can be downloaded from the college website and shall apply for any desired course with mentioned amount of application fee. Registration fee should be sent to the office of the RMK engineering college and this fee is non-refundable. Computer centre: Computer centre is constructed in Swaminatha Naidu building consisting of 1300 computer to facilitate computing services along with internet facility to its students. Library: It is very modern and well-resourced library and full library is air conditioned. The yearly budget of the library is around 60 lakhs consisting of 96090 volumes covering major streams of the science and technology. Hostel: This College has good accommodation for students who wish to stay in hostel and there are 3 blocks for boys and 3 for girls with all the amenities. They have various facilities like reading rooms, sports and shops. 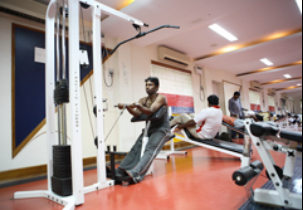 Gymnasium: They have ultra-modern gym well equipped with latest machines and equipment. It can provide space for 100 students at a time and each session will be guided and trained by a gym expert. 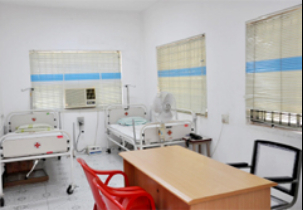 Hospital: This institute consist of a clinic along with dispensary. Clinic has facility like ambulance for any emergency and there are 2 beds in the clinic. Need to know about the management quota details? Fee for the management quota which will fetch you increase in normal fee. 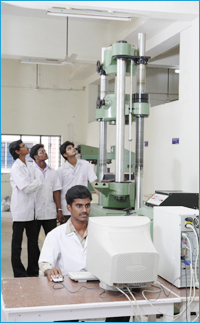 Write Your Reviews on "RMK Engineering College"
Are you Interested in "RMK Engineering College"? Please provide the following details. Ask Question on "RMK Engineering College"?